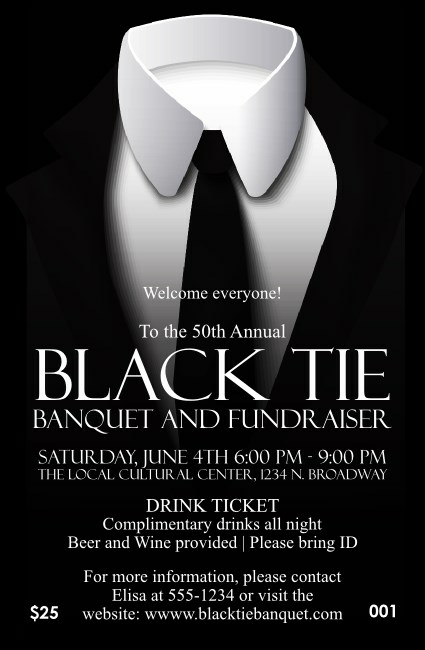 Help your evening run smoother when you hand out the Black Tie Drink Ticket at your gala. This formal design has a smart black suit in the background. Thirteen lines of white text give you room for event and drink details. Guests and staff will raise a glass to this elegant ticket.